I am, generally speaking, not a fan of novelty desserts. I like original desserts, arty desserts, but when it comes to the cute and the clever, I usually smile nicely and turn away. 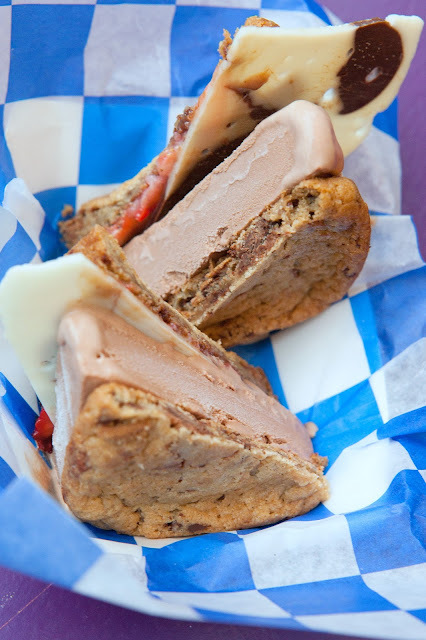 That said, I do have moments when I find myself oohing and aahing over something that could be seen as a gimmick And when I first saw these ice cream sandwiches by Smush I definitely had one of those wee hoo moments! It may be a gimmick, but I'm buying it hook, line, and sinker! 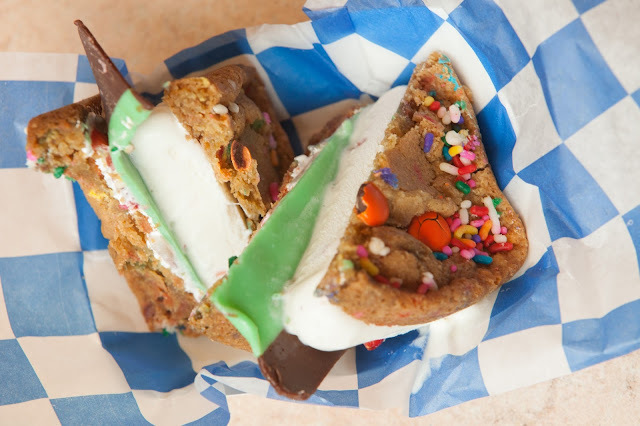 Smush, which is located in New York City creates ice cream sandwiches that look exactly like deli sandwiches, and just like you would at a deli, you get to build your own sandwich, from the cookie up! 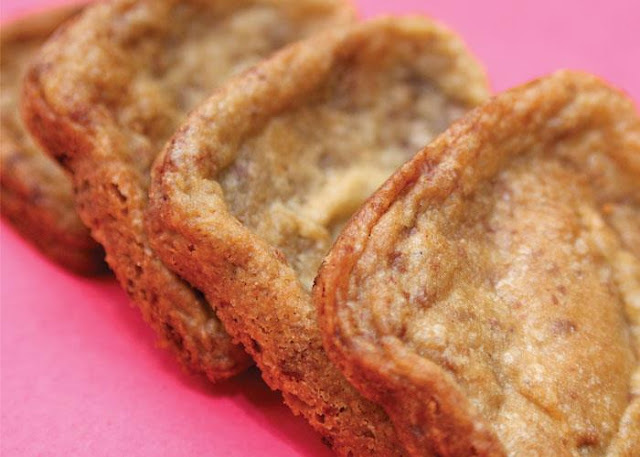 In fact, the exterior cookies are actually baked in a mold so that they resemble slices of bread. Once you've chosen your "bread," you move on to the "cheese" (fudge) and "meat" (ice cream). Then you top it off with your favorite "condiments." Choices include caramel, marshmallow, peanut butter sauce, potato chips, fruit, and Nutella. If there are too many choices for your liking, and you can't make up your mind, you can always pick a sandwich of the menu. 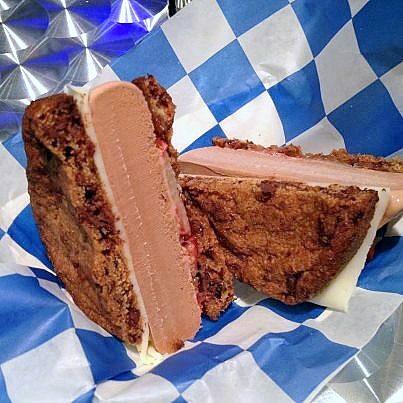 For instance, you could choose the "Chocolate Phatty Melt": chocolate chip cookie + white chocolate brownie cookie, marshmallow spread, sliced mint fudge, and chocolate ice cream or "Strawberries on Rye": 2 red velvet cookies, Nutella spread, fresh sliced strawberries, sliced strawberry cream fudge, and strawberry ice cream. Any way you slice it, it sounds delicious. (Sorry, I had to do it.) I haven't sampled one yet, but word on the street is that they taste as good as they look. Hooray! Their website is still under construction, but you can try building your own Smush sandwich right here.